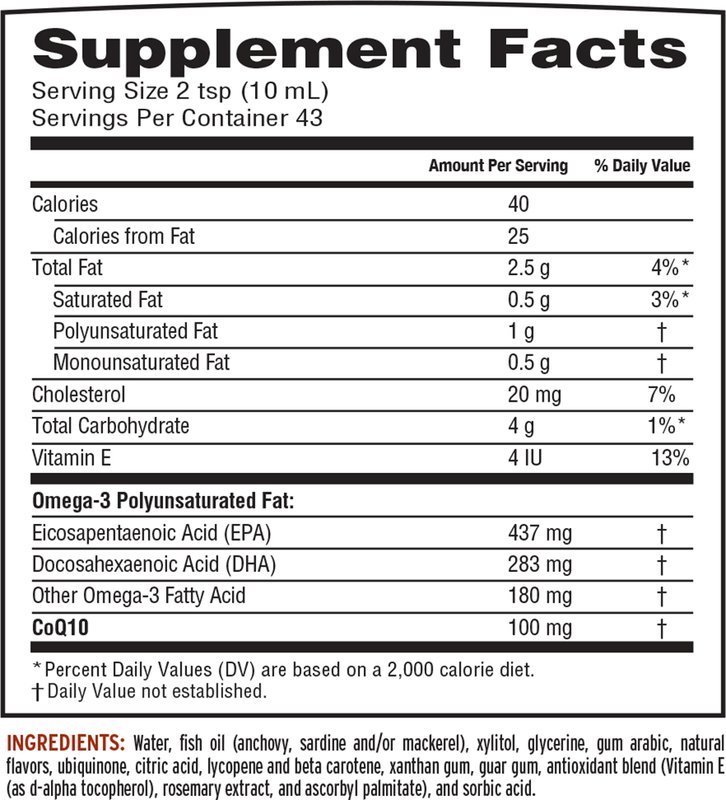 This formula is our heart health one-two punch: Ubiquinone CoQ10 + Fish Oil Swirl. A powerful antioxidant, Coenzyme Q10 (CoQ10) is used by the body to produce the energy needed for healthy cell growth and maintenance (particularly in heart muscle cells) as well as protect the body from damage caused by harmful free radical molecules. * Our proprietary emulsification technology gives this delicious formula the taste and texture of a delicious fruit smoothie and provides superior absorption compared to standard nutritional supplements. When Should You Take CoQ10's?